A full solution to recover deleted contacts, messages, photos, notes, etc. from iPhone, iPad and iPod touch. 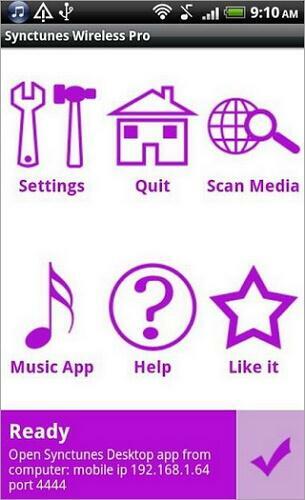 Once click to transfer contacts, messages, call logs, calendar, photos, music, video and apps between phones. Recover lost or deleted contacts, text messages, photos, WhatsApp messages, audio files, videos, documents and more. Copy music, playlists, videos from iPod, iPhone & iPad to iTunes Library, and to your PC for backup. A real-time digital audio recorder that records any audio source that’s automatically detected on your computer. Capture photos and shoot video with real-time effects. dr.fone toolkit - iPhone Data Recovery-Recover data from iPhone. MobileTrans-Transfer content between iPhone, Android, BlackBerry and Nokia phones. TunesGo-TunesGo frees your music, doing what iTunes can't. 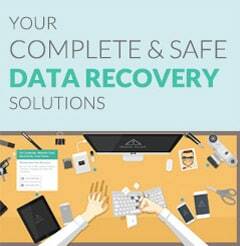 dr.fone toolkit - iPhone Data Recovery-Recover data from iPad. MobileTrans-Transfer content between iPad, Android, BlackBerry and Nokia phones. TunesGo Retro-iOS Transfer, Manager iOS Devices Easily. 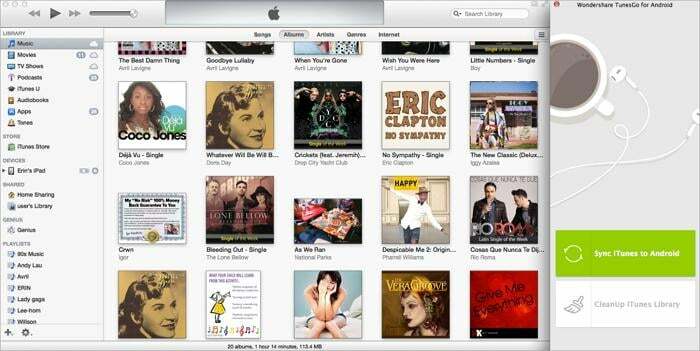 Optimize your iTunes and local music library with just one click. Find missing information for your music in batches. dr.fone toolkit - iPhpne Data Recovery-Recover data from iPhone. One stop center to enjoy video on your Android devices anywhere anytime. 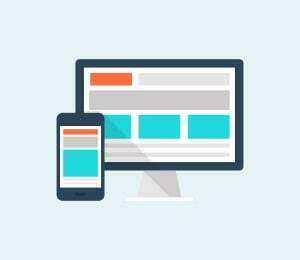 MobileGo-One-stop solution lets you manage your entire mobile lifestyle convenient. The most powerful and simple PDF solution you will ever find. 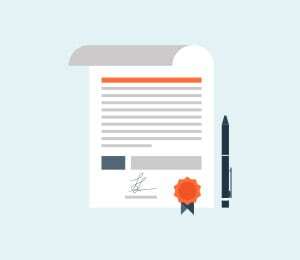 Turn PDFs into high-quality secure file formats like Microsoft Office, image, EPUB, etc. with minimum effort and in less time. Remove password protection on PDF copying, editing and printing, making it free to use PDF files. Convert PDF to fully editable Microsoft Word documents while preserving the original PDF formatting and layout. 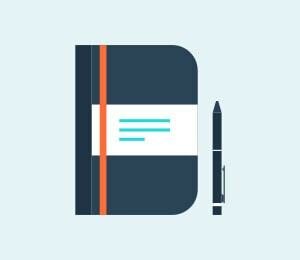 Convert PDF eBooks to EPUB format for reading on devices, like iPad, iPhone, and iPod touch, on the go. 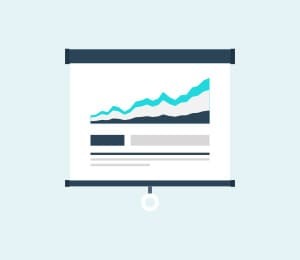 Convert PDF slides back to PowerPoint presentation files with the original layout and formatting greatly preserved. Convert PDF to Excel spreadsheets accurately, making it quite simple for users to reuse data in Microsoft Excel. A professional tool specially designed to recover photos, videos and audio files from storage devices. Cut, edit, merge, and trim clips. Add music and text. Apply special effects. Get a professional-looking movie in minutes. Burn your videos, audios and images to create DVDs and Blu-ray Discs with the help of this easy to use but powerful DVD creator. DVD Creator is now fully compatible with Windows 10. The ultimate software to weave your photos and video clips into a stunning DVD slideshow and share with your friends. DVD Slideshow Builder is now fully compatible with Windows 10. Intuitive movie-making software that allows you to be creative with your own collection of photos and videos. Download video from Youtube and also another 1000+ video sharing sites like Dailymotion, Vimeo on Windows for offline access or playback on your mobile devices. A powerful media player that lets you enjoy all video formats in a theater-like setting. Starts faster and stays seamsless to the last scene. Video Converter Ultimate-Your complete video toolbox. Video Editor-Get a professional-looking movie in minutes. Burn your PowerPoint presentation to DVD or convert your PowerPoint slideshow to video for easy sharing. Use this complete all-in-one video toolbox to convert, edit, enhance, download, burn, organize, capture, and play any videos on your Mac. Transfer over all of your data – including contacts, text messages, call logs, photos, music, videos and apps – with no risk or loss of quality. Easily backup Android data & Manage your media files, contacts, text messages and apps on Mac! Full freedom to transfer music and playlists from iPhone, iPad and iPod to iTunes Library on Mac. dr.fone toolkit (Mac) - iPhone Data Recovery-Recover data from iPhone on Mac. TunesGo for Mac-Transfer content between iPhone, Android, BlackBerry and Nokia phones. Video Converter Ultimate for Mac-Your complete video toolbox. dr.fone toolkit (Mac) - iPhone Data Recovery-Recover data from iPhone/iPad. TunesGo for Mac-Transfer content between iPad, Android, BlackBerry and Nokia phones. Perfect iTunes companion to organize all your music collections. Find missing information, album artwork and lyrics easily. Record audio from any streaming audio sources, including web videos, radio stations, and popular websites like YouTube, Pandora, and more. dr.fone toolkit (Mac) - iPhone Data Recovery-Recover data from iPhone/iPod. 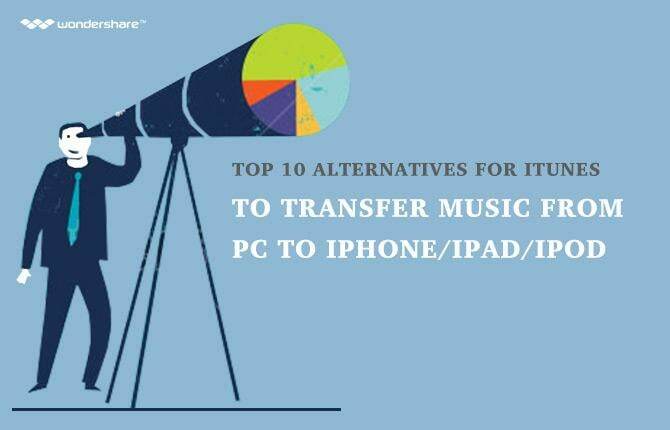 TunesGo for Mac-Transfer content between iPod, Android, BlackBerry and Nokia phones. Convert PDF files to iWork Pages and Microsoft Office documents without losing layout and formatting. Easily and perfectly convert PDF files to fully-formatted and editable Word documents on Mac. Convert eBooks from PDF to EPUB, the standard eBook format, for reading on iPad, iPhone and iPod touch. Convert PDF files to PowerPoint presentation slides quickly and effortlessly in Mac OS X. Convert PDF tables into fully editable Excel spreadsheets quickly and accurately in Mac OS X. Recover your photos, videos and audio files from Mac and other removable storage devices. The all-in-one powerful, fun and easy home video editor for Mac to output high-quality projects. Download online videos from 1000+ video sharing sites like Youtube, Vimeo or Dailymotion on your Mac and enjoy them on the go. All-in-one video player software that plays everything you have on your Mac. Enjoy HD movies now with high quality. Video Editor for Mac-Get a professional-looking movie in minutes. DVD Creator for Mac-Create high-quality DVDs. Still Didn't Find Your Destination? After getting a brand new Android device, only to find that your songs, playlists, purchased movies, etc. are stuck in iTunes Library? What a pity! Apple doesn't provide any solution to transfer music from itunes to android, so does Google as well. 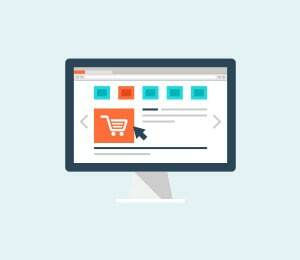 Why we users have to suffer from the great gulf between the two platforms? Actually, you don't have to once your know a few tips and tricks for how to transfer songs, videos, iTunes U, Podcasts, and more from itunes to android. 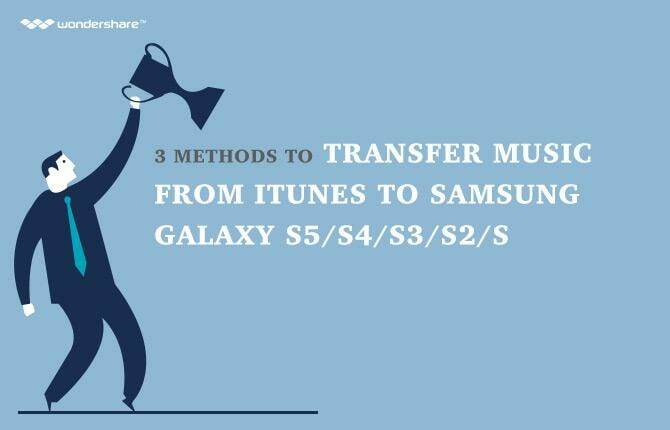 Below are the 3 simple ways you can apply to transfer itunes to android. Bonus: Here is an easy and safe solution to transfer any data between any phones, including music. See the details. Note: the 3 ways are all available to transfer songs, playlists, movies, iTunes U, Podcasts, and more from itunes to android phones and tablets. 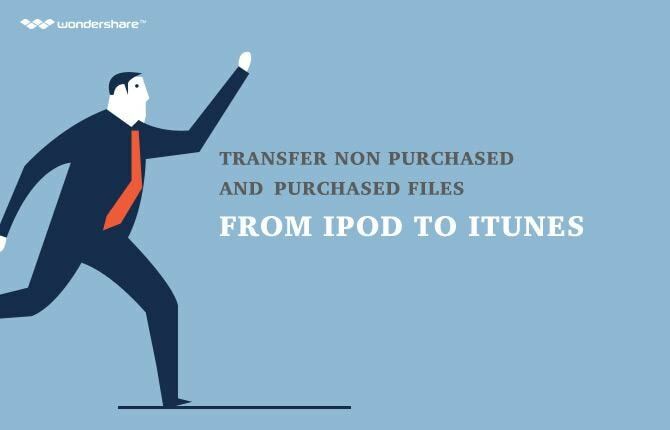 However, to make it easier for you to learn how to do the task, below I will take how to transfer music from itunes to android devices as an example to show the steps. If you're familar with iTunes Library, then you must know that you can arrange iTunes media folder and save all files to the iTunes media folder. This is the feature you should make use of. Once you have single songs copied to the folder, then you can manage to get your itunes music onto Android hassle freely. 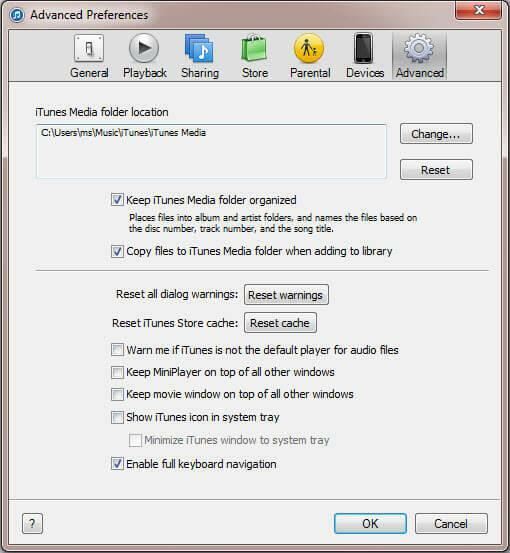 Below are the steps for how to make use of iTunes media folder to transfer music from itunes to android devices. Find the location of iTunes media folder which I've mentioned above. Mount your Android phone as an external hard drive via a USB cable. After then, click to open My Computer or Computer to open your Android device SD card. 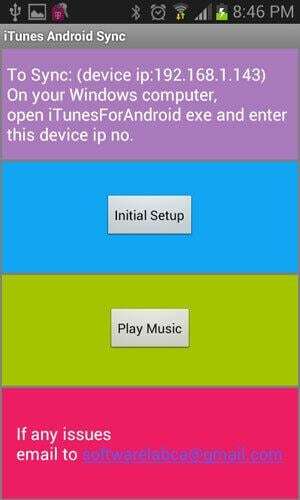 Open the iTunes media folder to copy and past songs to your Android devices. Note: Mac can't detect your Android phone or tablet as the Windows PC does. 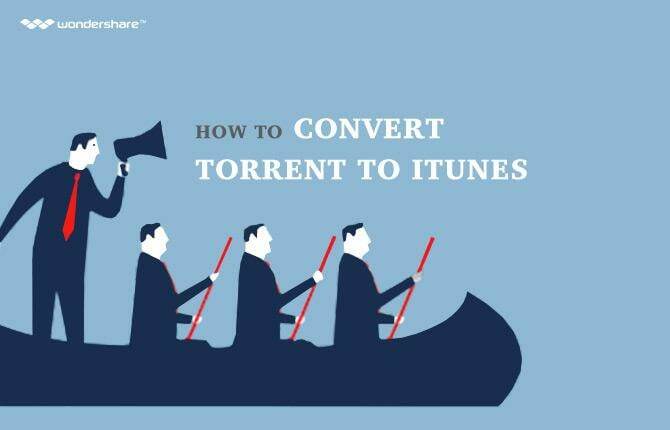 To transfer itunes to android on Mac, you have to turn to some third-party tool for help. 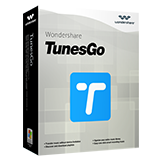 Wondershare TunesGo for Android which I mentioned above is such kind of tool, you can try it. If you don't know where to turn to help, I think you should directly try solution 2. Disadvantages: 1st, this way can't transfer itunes playlists from itunes to android devices; 2nd, if you have a large iTunes library, then this way will occupy too much space of your computer; 3rd, it takes too much time to copy songs one-by-one to your Android devices. To transfer songs, movies, Podcasts, iTunes U and more from iTunes Library to Android phones or tablets, the quickest way is to use the itunes to android Mac transfer software - Wondershare TunesGo - Music Downloader, which enables you to transfer music, playlist, podcasts, and iTunes U from itunes to android devices in 1 click. Additionally, you can also transfer music, movies and playlists from Android devices back to iTunes. Transfer music between any devices. Download music from YouTube/other music sites. Downlaod music from built-in top playlists. Record any song or playlist you find on the web. Fix music tags, covers and delete duplicates. Manage music without iTunes restrictions. Create your personal custom mixtape CD easily! Professional music player/music sharing tool. Install and launch the iTunes to android transfer software on your Mac. Connect your Android phone or tablet with your Mac via a USB cable. Run the software and you will see it's displayed on the right side of iTunes. In the primary window, click the Sync tab. You get two choices. One is to sync Entire library, the other is Selected playlists. 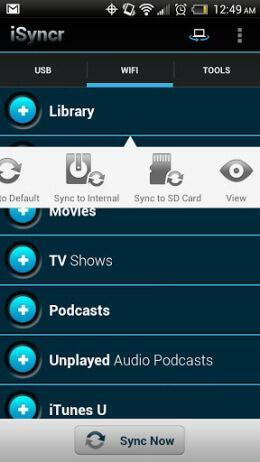 Select one and click Syncto sync music, movies, podcasts, iTunes U, TV shows and more to your Android phone or tablet. 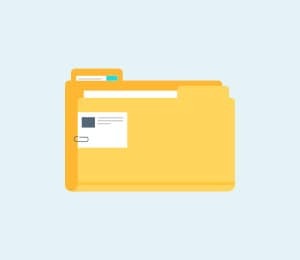 If you don't like using desktop software or spend much time to copy media files from lots of folders manually to your Android devices, you can also try the Android apps. 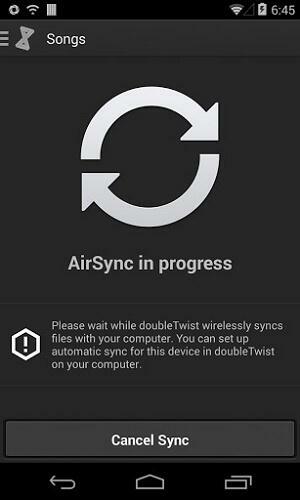 These apps let you sync itunes to android wirelessly. Here, I list out top 4 itunes to android sync apps. I just loaded the Win7 trial version to try Itunes to android playlist transfer, but ag=fter getting devices updated to be recognized, the import Itunes selected playlists check boxes and click "green OK" does nothing? is this disabled in the trial version? I''m reluctant to buy if I can''t get through a demo. Well, you can use MobileGo for Android to create a playlist to save the songs from iTunes. Right click Music and then click Create New Playlist. I tried the above suggestion. I was able to locate my iTunes folder on my external drive. However, it still will not show my iTunes playlist. Well, if you want to listen to a playlist, you can right click Music on the left column to create a playlist, then, import the playlist. I imported my playlist with the trial version. The Mp3 files are copied and this is good, but in the "playlist" section of my Android Mp3 player (Poweramp) there are not the playlist i created. To listen to a song i have to go to "album" or "artists" .. is this a bug ? Suzanne, you can try this way. First, open iTunes, click Edit > References... > Advanced, tick Keep iTunes media folder organized and Copy files to iTunes media folder when adding to library. 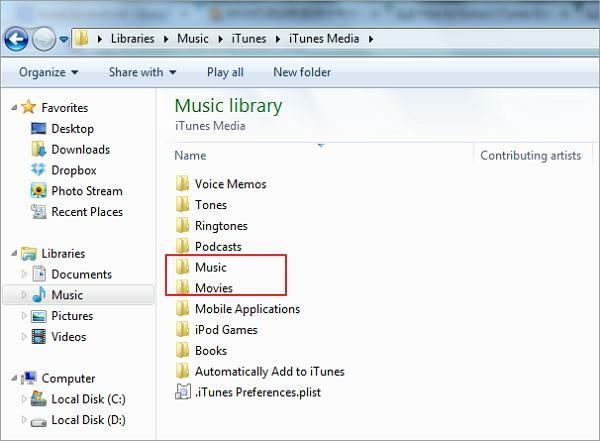 Then, go to the iTunes media folder on your PC: C:UsersAdministratorMusiciTunesiTunes Media. All media files that you download from iTunes will be there. Hey! I was just wondering. Is it also possible to transfer my whole Itunes libary to my android. I installed the Wondershare, but so far I can only copy all my playlists, right? In this case, Sabbir, you can use this way. In the left column, click Music. In the music window, click the triangle under Add > Add Folder or Add File. Then, navigate to your iTunes save path to import the music in the iTunes. I did install mobile go but my itunes library is not on C drive thus mobile go can not find the itunes playlist, how can i change the path for itunes in mobile go ? my itunes library is on F drive.